Top some chips with bean dip and sour cream, it's like instant nacho's. 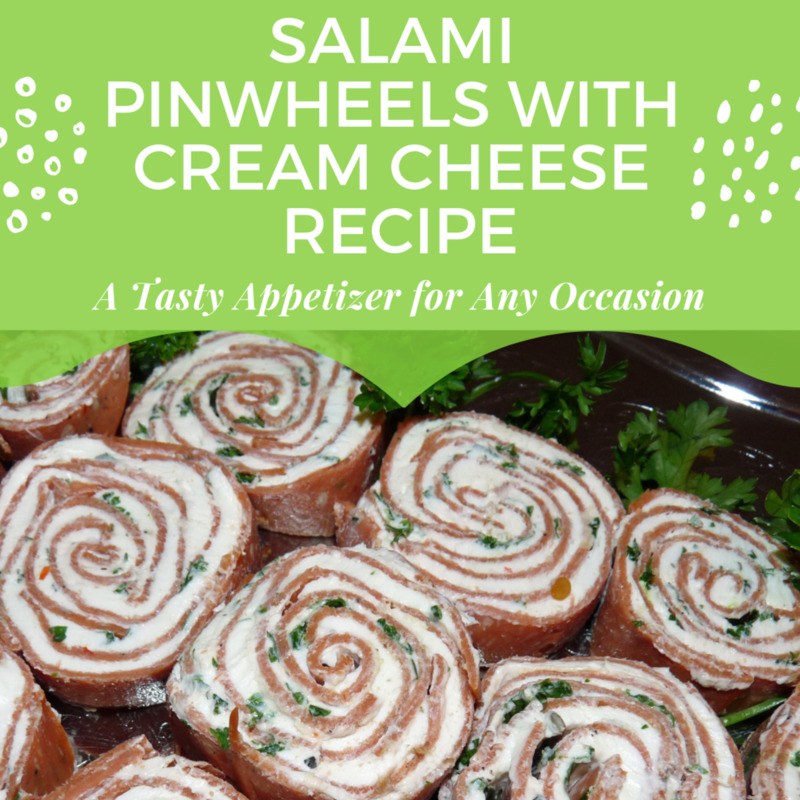 Always looking for a great appetizer to bring to gatherings, this might just be the one. 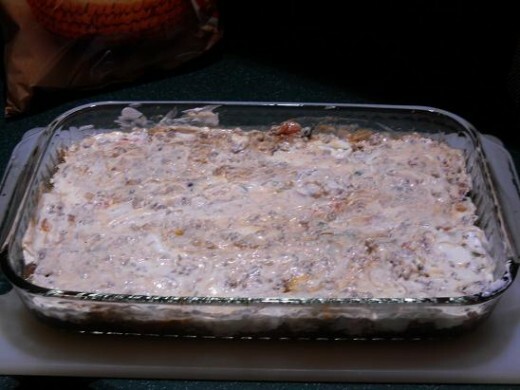 A close friend,Maria brought this dip to a party several years ago, it was a huge hit. Since I got her recipe, I've changed it slightly through the years, making it more to our families taste. It's a great appetizer and goes a long way. There is one thing that never seems to change, there's never any leftover. One problem has been if you serve it before the other food is ready, no one seems to have enough room for their meal because they've destroyed the bean dip. 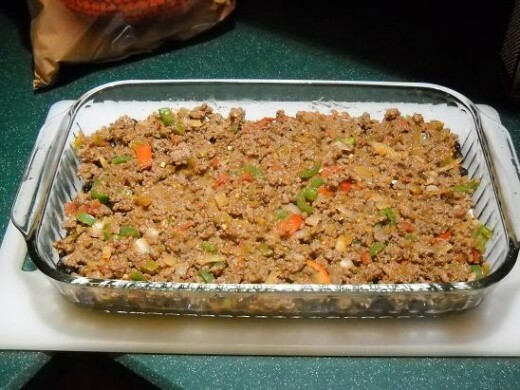 Brown the ground beef in a pan, while pre-heating the oven to 350 degrees. Chop the onion, tomato, jalapenos,I usually throw the onion in with the ground beef, along with some salt and pepper(season to taste). 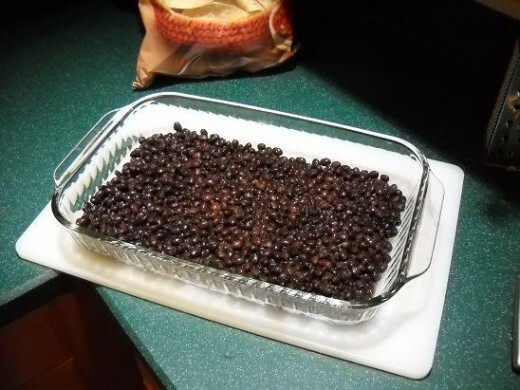 In a 9x13 baking pan, layer the bottom with your drained black beans, as shown in picture. 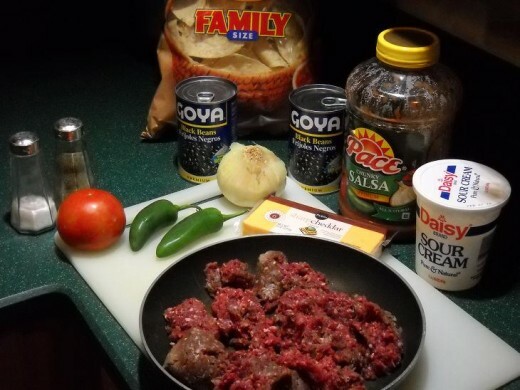 Now drain the ground beef and mix in the onion, tomato, jalapenos and salsa and cook for a few minutes, it helps combine the favors and softens the tomatoes and jajapenos. Combine them well an add to the pan over the black beans. Then cover the whole pan with the sour cream. 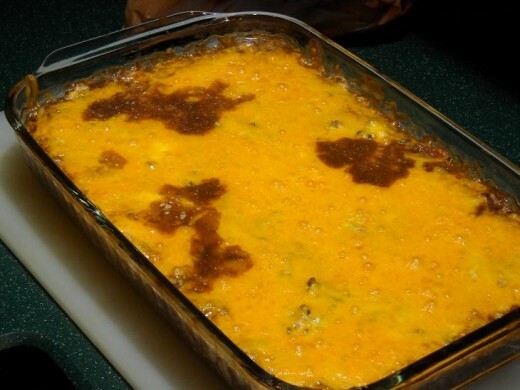 Cover the pan with the shredded cheese and bake for 1/2hr. at 350 degrees, the cheese should be bubbly. Let it cool for about 5-10minutes, serve with chips, sour cream, hot sauce, jalapenos, or any other topping you might want to add. The finished product comes out great every time and is sure to be a hit. We make this appetizer for family outings, sporting events, parties, pot luck or just when some friends stop by to watch the games on TV. 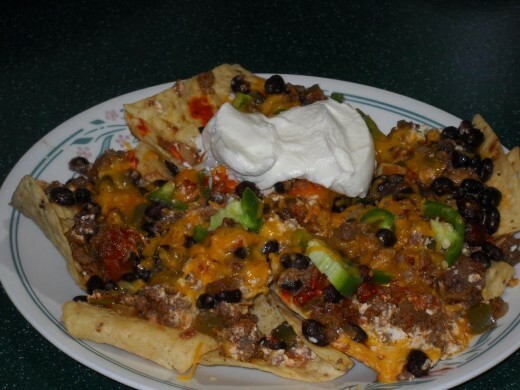 We also like to make this at home for dinner, but I cut the recipe in half and turn it into nachos. My family just loves the stuff and it's pretty easy to make. 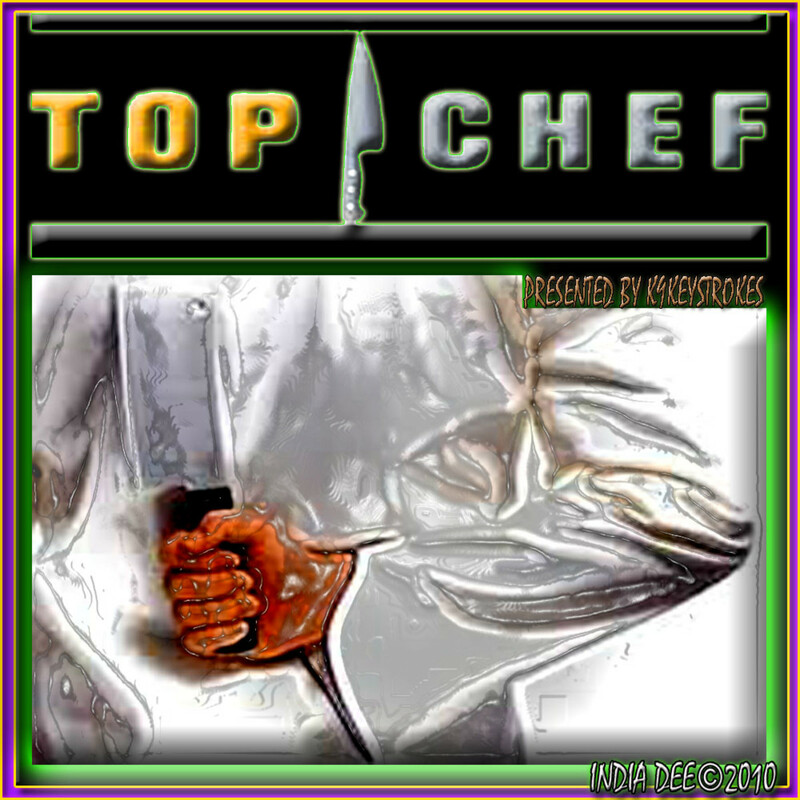 If you enjoy this you may want to try some of our other favorite recipes. Great bean dip. love the recipe. Voted up! If you love venison, try the venison kabobs, my family loves those things. That looks and sounds great and I am sure I will be trying it soon! I love venison and use it when I can in anything where I might use ground beef (spaghetti, lasagna, BBQ, burgers, etc...). Thanks for the recipe!